When I opened the box, I gasped in excitement. The mini albums were even better than I expected! 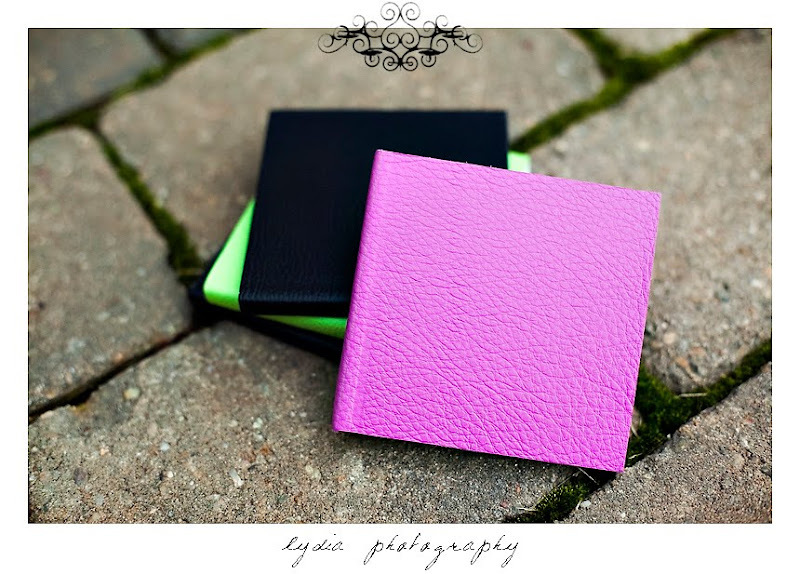 The leather was softer, the pictures brighter, the size cuter! My sister and I pulled into a coffee shop for some chai and wi-fi carrying along the albums to examine them closer. Everyone who saw them asked what they were and exclaimed about their awesomeness! 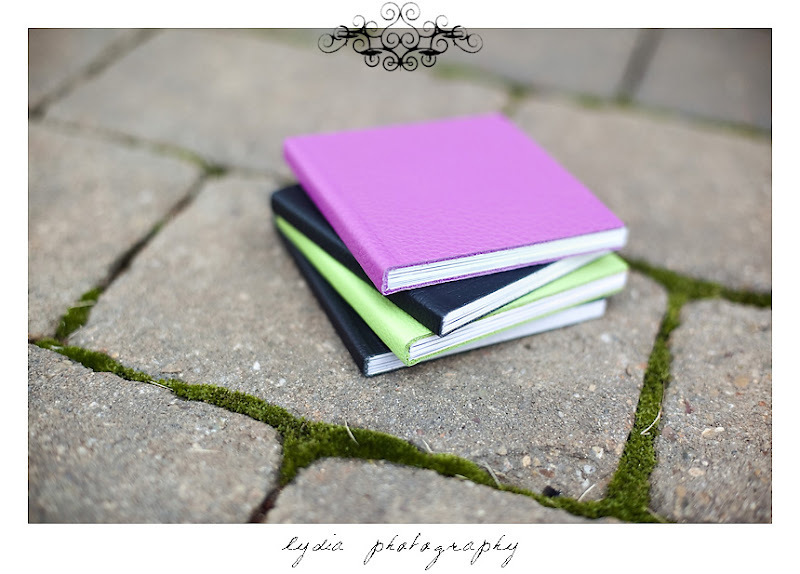 I'm so proud to add these to our line of albums. At 4"x4" and printed on real photographic paper, they're the perfect size for seniors. Moms will love tucking these in their purse. Brides now have a size to carry around that will exactly match their larger album. As for me, well, I will always have one or two or three of these around just so I can stroke that buttery leather. The printing is beautiful and runs from one side to another with no ugly center seams. It's hard to see because my fingers were busy with the camera, but the pages open 180 degrees with no stress to the binding. Can't decide on which pictures to have printed? 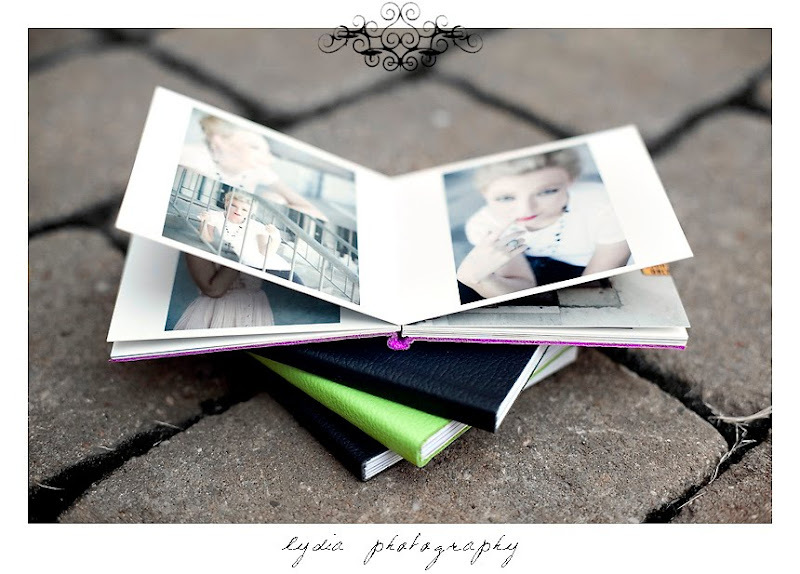 Order a mini album for 20 pages of picture goodness! Very cool! I'm thinking of ordering some of these myself are you using Kiss?